The time has come for our GRAND FINAL match of the IGN Pro League Team Arena Challenge 2! This double-elimination tournament features 16 teams from around the world and is an All-Kill team format. This match is being played for the Grand Final. If Prime is the first team to defeat everyone on the opposing team's roster (5 wins, or a best of 9), they will win the tournament and earn $9,000 for first place. If NSHoSeo defeats Prime in the best of 9, they will reset the series and play another best of 9 series, since the tournament is double elimination and Prime has not yet lost a series. If NSHoSeo manages to win two best of 9 series against Prime, they will win the tournament and claim the $9,000 first prize. Congratulations to NSHoSeo, winning 5-3 and forcing an entirely new bo9 set! The winner of this one takes it all! Congratulations to Prime, winning 5-2 and taking FIRST PLACE AND $9,000!!! NSHoSeo had an insanely good run as well, but will take second place and $4,000! 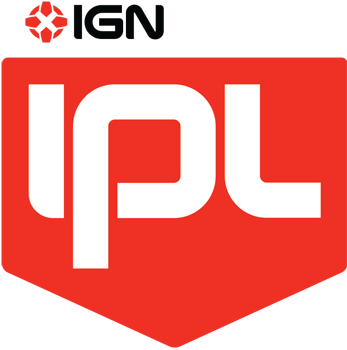 Thanks for watching IPL Team Arena Challenge 2 and tune into our SXSW showmatches on Friday and Saturday on http://www.ign.com/ipl ! These Grand Final games will be cast by CatsPajamas and Doa! HoSeo can take one set, but I don't know about two. The Kings and Creator are too solid in almost all the match-ups to be taken down two Bo9's. "The Kings" as in MK and Byun? Do we have any reason to believe that Byun should be taken in such high consideration? NsHs have to win two Bo9s, so they'd have to do that twice. Wouldve loved to see oGs vs Prime, but cool for NsHs aswell. MarineKing said recently Byun is the best Prime player. Also he has been to a GSL semifinal more recently than MarineKing. Byun always has a bunch of accounts atop the Korean Grandmaster ladder. For example, he's currently #1 in Korea with a 75% on the Grandmaster ladder. The guy is insanely good. MKP, Byun and Creator are too solid. $9000 should go a long way in Korea too so I'm really happy for Prime. NSHS wins the first 5-3, and the second 5-4. I BELIEVE. So, he's just another ace for Prime, as if MKP and Creator were not enough. If this is true, it means that they just didn't need to use him so far. I think Creator is actually the biggest challenge for NSHS. I agree, Byun is amazing and so is MKP but I think NSHS would have the biggest challenge with a good protoss. Still rooting for NSHS. Hopefully Jjakji can pull off a good build or Sage somehow does some good pvp. Also, I think Seal can do a good zvt. MKP been absolutely crushing lately. I don't see Hoseo getting through him twice without a bunch of losses. They did use him vs Ret, he wasn't particularly convincing (though won and did one of the sickest marine splits I've seen in a while) but you might attribute that to some cross server issues I guess. Ret causing problems for a lot of good Terrans lately in general too. Byun's always been awesome so I'm very happy seeing him be so highly regarded again. going to be tough though, Prime so strong now. i think ive got to root for NSH on this one. Theyve shown to be the more well rounded team i think. Prime seems to have maybe 3 players that can win games in this matchup, whereas NSH has shown around 6 who can win consistently.